Facebook Ads are a powerful lead generation and selling tool, with the ability to provide great results and big ROI. We’ve seen aspects of Facebook Ads become more interactive and more personalized over time, as evidenced through dynamic product ads, retargeting features, and Canvas ads. This trend has continued, giving brands new immersive, interactive, and personalized ways of selling in the form of message ads, selling bots, and conversational commerce. One of the newest developments we’ve seen recently are the new sponsored message ads. These ads are delivered through Facebook Messenger, and are re-engagement messages that are sent to users who have already had a conversation with them. Businesses pay for these messages to be delivered right to a user’s messenger inbox, giving them a message notification and increasing the likelihood that they’ll see it. They come with the huge benefit of having a lot less competition for the recipient’s attention, especially when compared with ads that have to stand out in a busy newsfeed. You can use sponsored messages to follow up, promote new products, and more. Since these message ads are focused on re-engagement, you have the benefit of automatically having a warm, receptive audience at the receiving end of your messages. This can increase conversions. To encourage users to message you first, you can utilize the “Send Message” CTA on regular News Feed ads, as pictured above. When users click on the CTA, they’ll be able to send your Page a message through messenger, which is both convenient for them and starts an on-platform dialogue that you can later use for lead nurturing. Sponsored message ads are currently still being tested by Facebook to prevent them from becoming too spam-like, which would only prevent users from utilizing messenger. The intersection of shopping and messaging apps (Facebook Messenger included) is officially here, and the result is conversational commerce. Conversational commerce offers for a new, integrated way of selling. Customers can contact you and you can contact them through the platform of their choice. Consumers have increasingly reached out to businesses through social media messages to get customer support or product recommendations, and brands have begun to realize the value of this. Online shopping is still booming, but consumers are looking for methods of shopping that are faster, more personalized, and more convenient than ever. Now, instead of going to a store, calling a business, or even visiting their site, users can get everything they need from a brand-- including the ability to make purchases-- right through a messaging app. Uber users can now schedule a ride all through Facebook Messenger, for example, via a quick conversation. 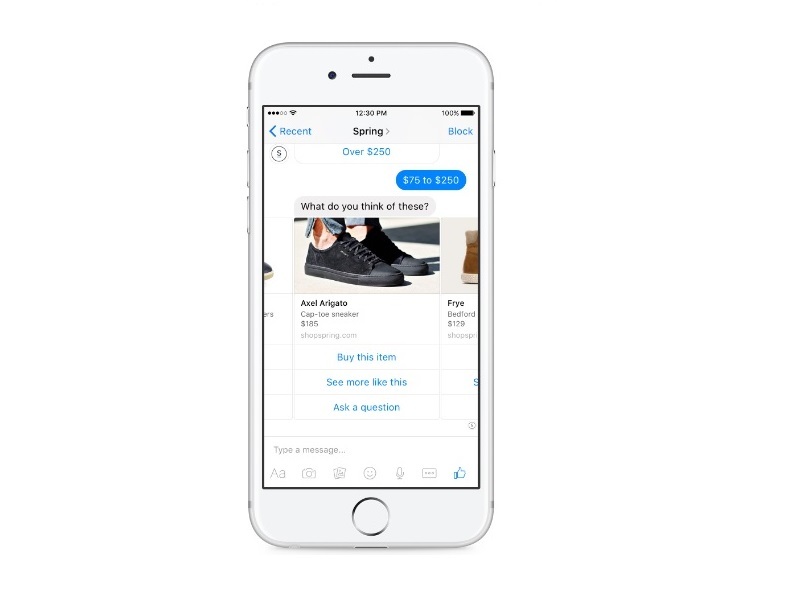 Shopify also offers Facebook Messenger as a sales channel for its merchants. This allows customers to engage with the store via chat, creating a more personalized shopping experience. Offer special product deals, update customers on their shipment and respond to any questions, all through Messenger. If you have a Shopify store, you can add the Messenger channel through the Shopify app store. Messaging apps are becoming the preferred method of communication for many consumers, even edging out email in terms of number of messages sent. Ultimately, this benefits businesses. The easier it is for a customer to purchase from you, the more likely they are to convert. While many brands use customer service representatives along with tools like Rignite or Sparkcentral to keep up with social messages across multiple platforms, you can also use chatbots for automated, instantaneous conversational commerce that converts. "Selling" chatbots are a very valuable solution to conversational commerce. Instead of needing an abundance of customer service experts trying to manage your social media messages, chatbots can pick up the slack for you. Chatbots can offer extremely thorough and instantaneous responses. Many can answer basic questions and requests that a user types out, though they can also offer different selections to choose from. These chatbots can be used to drive conversions and sales at a very low cost through easy-to-complete actions and personalized recommendations. They can send images, text, and “rich bubbles” that are like clickable CTAs. 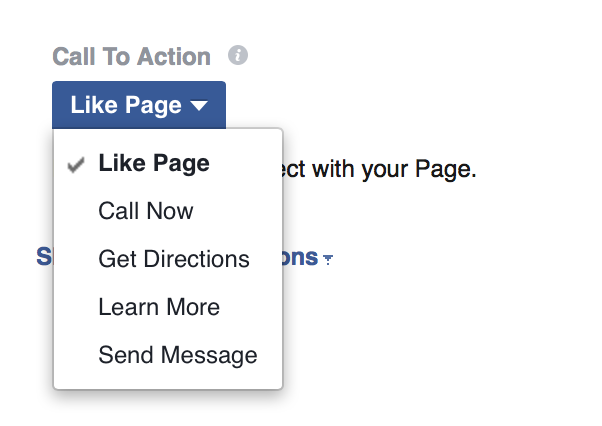 In Mark Zuckerberg’s 2016 keynote, he used the example of a shop called 1-800-Flowers. 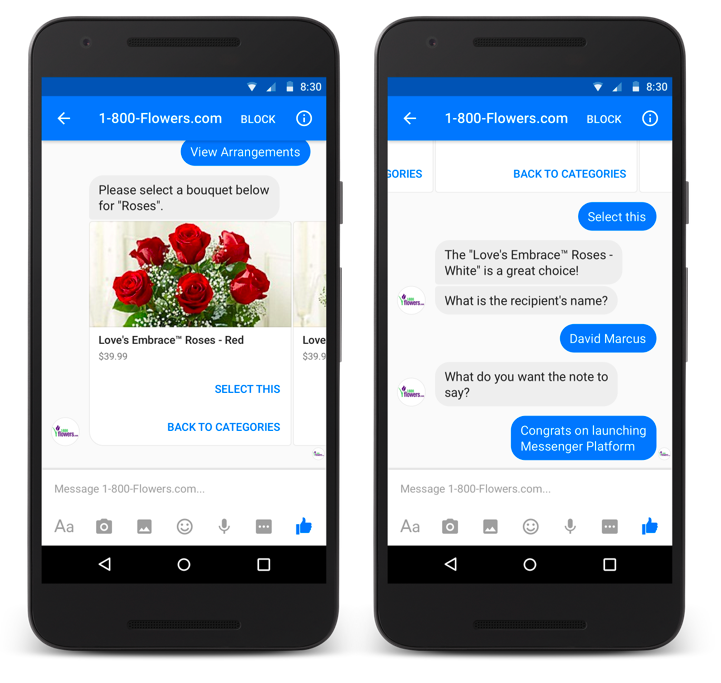 In true irony to its name, 1-800-Flowers receives almost all of their business online, mostly through Facebook Messenger. 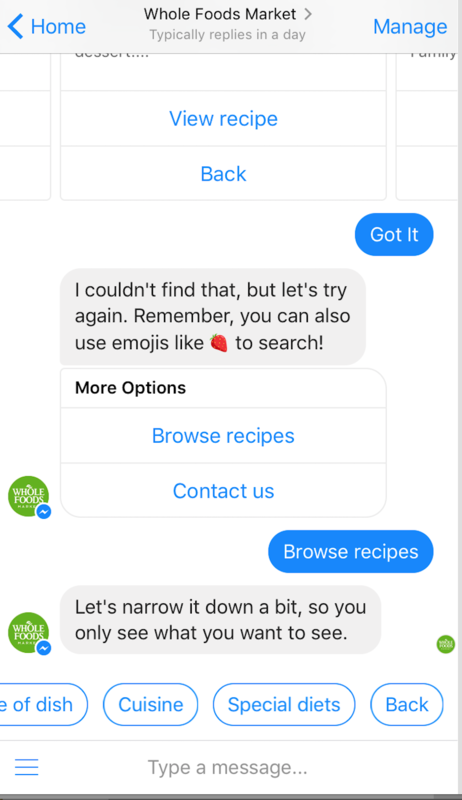 Whole Food’s chatbot is designed to help users find recipes they’d want to make, inspiring potential purchases of the products featured in the recipes. You can search for recipes (food emojis work, too), or browse their recipes based on cuisines that you can select. This chatbot is fun and easy to use. If the chatbot is unable to find what you’ve searched for, it gives you two options to choose from: keep browsing, or contact support. Online marketing is becoming more personalized and interactive, and chatbots that can capitalize on this without feeling like an aggressive sales pitch will sell more. 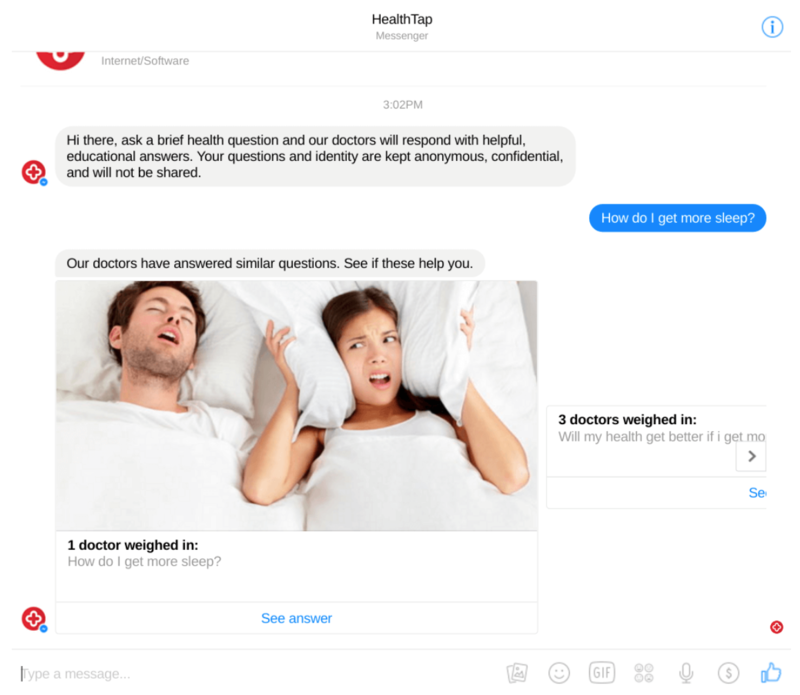 A great example of a chatbot that does this well is the HealthTap chatbot, which provides you with what feels like personalized solutions to your questions by showing you answers to questions asked by other users. You can view the different answers, and if you want a truly personalized answer, you can submit your question. If you want the answer right away, you can pay $25 through the app. Since chatbots can be complex and require some coding, it never hurts to hire a developer to do it for you. This is especially true if you want to enable customers to make purchases through the messenger app. Not only can bots enable greater reach and more opportunities to sell, some are smart enough to help you set up marketing campaigns too. Kit, a Shopify product, actually creates advertisements, targets audiences and recommends a budget for your Facebook campaign. Beyond Facebook Ads, Kit can automate thank you emails to customers, update you on store sales and also run Instagram advertisements. Instead of logging on to a website to manage your store or a virtual assistant, you engage directly with Kit via text message or Facebook Messenger. Learn more about Kit at kitcrm.com.